The year 2018 saw some of the biggest and most hyped about weddings take place and at the same time, we saw couples fall apart. The weddings became the talk of the town because of all the glamour and what not. The two tied the knot on 19 May 2018 in St George’s Chapel at Windsor Castle in the United Kingdom as everyone around the globe were glued to their TV screens to watch the Royal Wedding take place. Meghan wore a silk white gown designed by Givenchy’s artistic director Clare Waight Keller. This was the wedding we had all been waiting for ever since the couple officially announced that they are dating. After being in a relationship for six years, Ranveer and Deepika took their relationship to the next level when they tied the knot at the picturesque Lake Como in Italy on November 14 and 15. One of Bollywood most-loved couples decided to get hitched in one of the most dreamy destinations. From wearing Sabyasachi to Abu Jani and Sandeep Khosla; Deepika was a vision. Ranveer, on the other hand, wore Rohit Bal for the Mumbai and Bengaluru receptions. The lovebirds tied the knot in December and it was a star-studded wedding like all others. However, this was known to be the longest wedding of the year. While Aiman donned outfits by Erum Khan on her wedding functions, Muneeb looked dapper in Deepak and Fahad and HSY for his nikkah and baraat. Their wedding was trending on social media with the #Aineeb hashtag. This was no less than a Royal Wedding, because not only did we see another happy couple tie the knot, but we saw the unification of two different cultures. From a filmy sangeet to a Christian wedding and then finally a Hindu wedding ceremony. We were not only excited for the couple but we absolutely loved the energy at the wedding, the outfits donned by everyone and of course the social media updates. 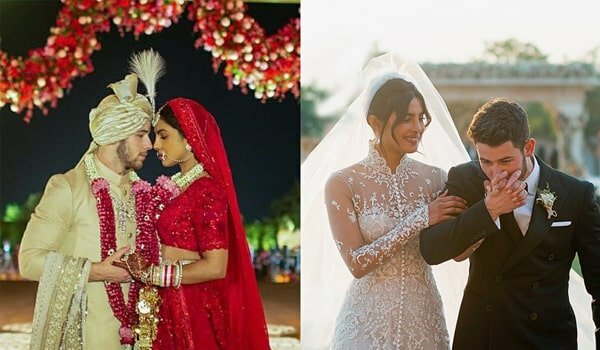 From Abu Jani-Sandeep Khosla outfit for her sangeet to a Ralph Lauren white gown and of course, the red lehenga by Sabyasachi, Priyanka surely made the heads turn. Not only that, Nick was seen in a Ralph Lauren tuxedo for the Christian wedding. The heirs of India’s two biggest industrialist families tied the knot on December 12 and as predicted; it was a gran affair. The wedding saw political figures including Hilary Clinton as well as celebrities came together to be part of the celebrations. For the wedding outfit, Isha chose a golden Abu Jani-Sandeep Khosla lehenga, the groom wore a beige sherwani. It definitely was a “big, fat Indian wedding”. Third time’s the charm, they say. 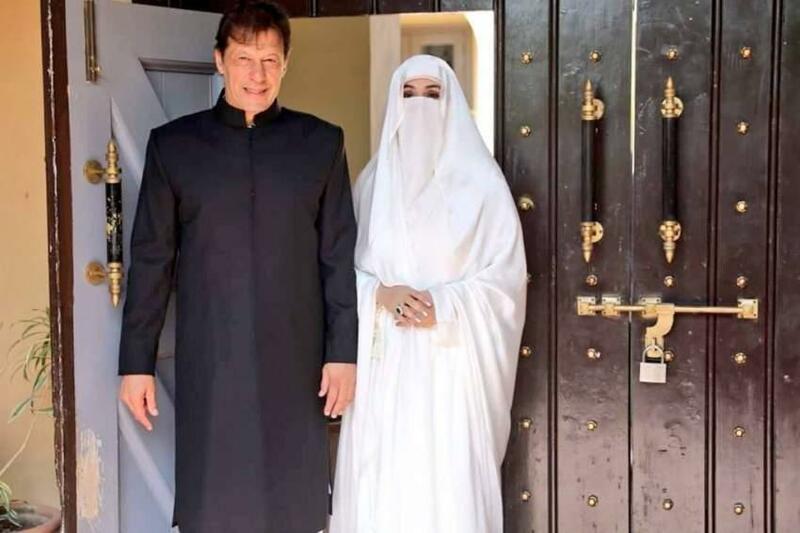 Our very own Pakistan Tehreek-e-Insaf Chairman Imran Khan tied the knot with Bushra Bibi in February. Although the Nikkah was kept low-key, it did come as a surprise to many. Following this, luck or co-incident, whatever you’d want to call it, Imran Khan won the elections in July and became the prime minister. 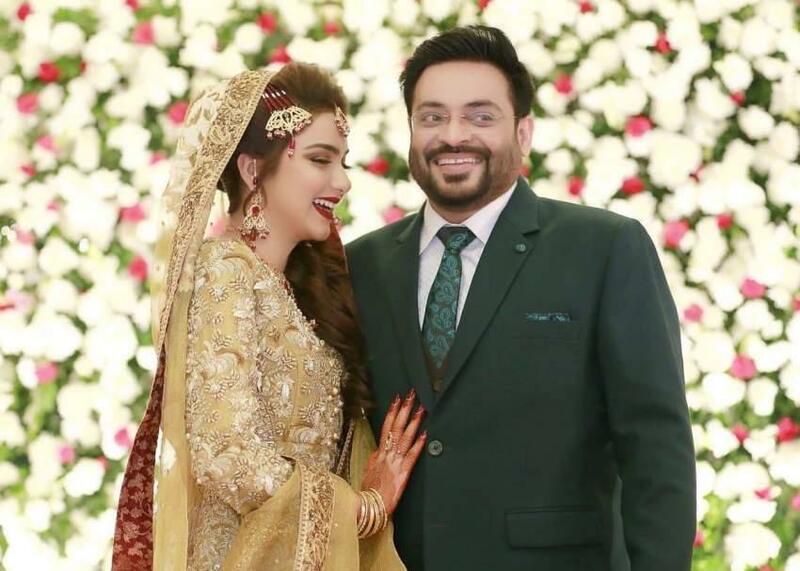 Dr Amir Liaquat’s second marriage to BOL News colleague Tuba Anwar came as a shock to many. The two got married in November and the reception was attended by many political personalities. However, the second marriage has garnered a mixed reaction from people all across the country. This wedding was the most controversial as we’d like to put it. 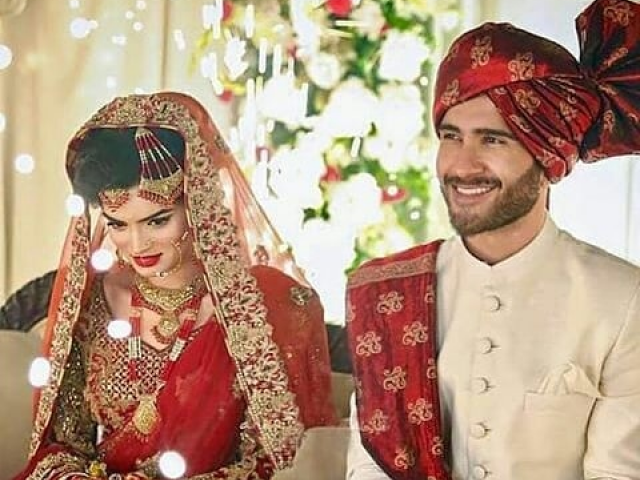 Feroze, who tied the know with Alizay in March received all sorts of criticism for marrying a “simple” girl who wasn’t from the same fraternity. But, we got to give these two space and let them live their lives. The two seem really happy and comfortable around each other ever since they got married and what more does one need.